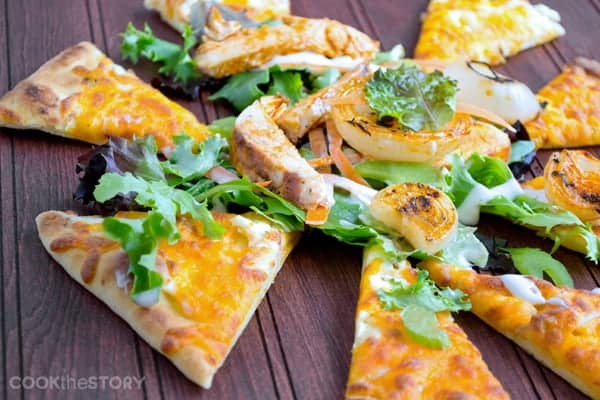 A flatbread salad is a grilled flatbread with melted cheese that is topped with fresh crisp salad. This flatbread salad has grilled buffalo chicken and grilled Vidalia onions. A perfect summer recipe! This recipe is sponsored by the Vidalia Onion Committee. 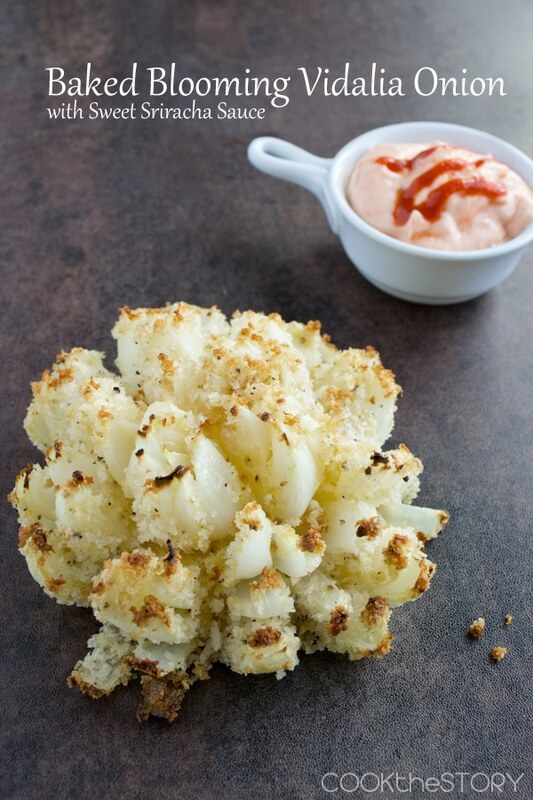 To see all my Vidalia onion recipes, click here. 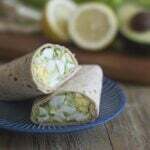 A couple of months ago the Vidalia Onion Committee asked me to develop some exciting new recipes for their exciting new V is for Vidalia celebration of all things Vidalia onion. I loved getting to work with these sweet onions to come up with fun new recipes that really show them off. And I also loved knowing that the campaign is using my recipes. In fact, if you spot Vidalia onions in your grocery store, flip the bag over and you just might see one of my recipes. Right there, in your very own grocery store! I swear I’m going to frame that onion bag once I get my hands on it! Today’s recipe for a Flatbread Salad with Buffalo Chicken and Grilled Vidalia Onions epitomizes all that is great about these onions. They’re a salad onion that is sweet and delicious on any salad. And they’re fabulous grilled too. Here they’re grilled AND put on a salad. 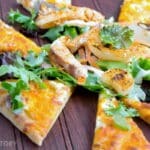 For this flatbread salad, you toss Vidalia onion slices and chicken breasts in buffalo sauce and put them on the grill. When they’re done, you let them rest and put some cheese on a flatbread and put that on the grill. When it’s hot and the cheese is melted, remove the flatbread from the grill and top it with some salad greens, carrots and celery, the chicken and onions and then some ranch dressing. 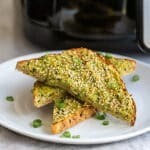 Cut into wedges and eat as an appetizer with friends or make two to have as a quick weeknight dinner with your family. Do you love Vidalia Onions? Make sure to head over to the Vidalia Onion Facebook page where they will be having some fun trivia contests with delicious giveaways. And if you’re a blogger, be sure to submit a recipe to their V Culinary Challenge for a chance to win $2500 and be featured on their site. For another delicious Vidalia onion dish to serve with this salad, be sure to check out my recipe for a baked blooming onion. 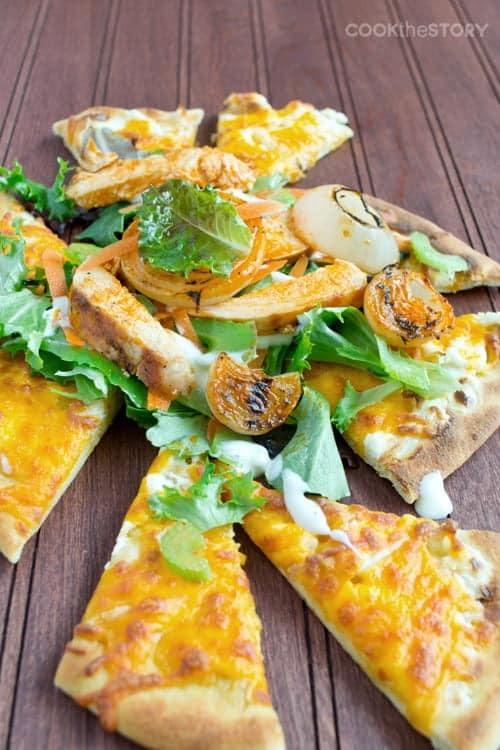 A flatbread salad is a grilled flatbread with melted cheese that is topped with fresh crisp salad. This flatbread salad has grilled buffalo chicken and grilled Vidalia onions. A perfect summer recipe! Trim the ends off of the Vidalia onion and peel it. Slice onion into three thick slices. Keep rings intact. Brush onion slices with 1 tablespoon of the wing sauce. Brush each chicken breast with 1 tablespoon of wing sauce. Grill the three onion slices and the chicken breasts over direct heat, flipping occasionally, until chicken is cooked through and onion slices are blackened, 12-15 minutes. Do not turn off grill. Use the remaining 2 tablespoons of wing sauce to brush the chicken and onions again. Let rest while preparing flatbreads. Oil one side of each flatbread with ½ teaspoon of olive oil. Put flatbreads oil side down on the grill. Top each with ¼ cup cheese. Grill just until bottom is starting to brown and cheese is melted, 3-4 minutes. Cut each flatbread into 8 wedges and arrange each set of 8 on a plate. Slice chicken into ½ inch slices. Separate onions into rings, discarding outer rings if they are very blackened. Top each plate of flatbread wedges with 2 cups of salad greens, half of the carrot, half of the celery, 2 tablespoons of ranch dressing and half of the chicken and onion rings. 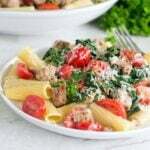 Disclosure: I was hired by the Vidalia Onion Committee to develop this recipe and promote it on my blog and on social media. All opinions are my own. Oh, wow, this looks delicious! I love spicy buffalo chicken! This sounds delicious!! We love making flatbreads and need to try this recipe soon. This is a melting paradise Christine! i love your flat bread and I would love to dig into this!